BCU Loyalty Fob - Ballincollig Credit Union Ltd. Here at BCU we are continually striving to increase our service to our members and help businesses in our local community. With the ‘shop local incentive‘ in mind, we are delighted to launch the Ballincollig Credit Union Loyalty Fob. 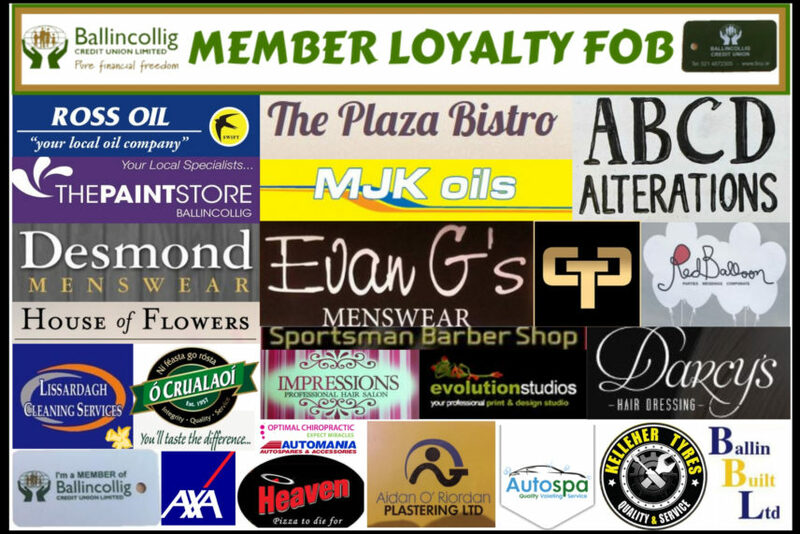 As a valued member of Ballincollig Credit Union, the Loyalty Fob will entitle you to discounts with all our participating businesses within Ballincollig and its surrounding areas. You can keep track of all the participating businesses and keep an eye on any updated special offers by clicking on any of the links below. We will also update our Facebook page regularly with any new offers that are available. Don’t forget to keep an eye out for our Logo in participating businesses and enquire as to the discount you can receive.